All of our Puppy Training and Socialisation Classes, our Dog Activity Classes and One to One training Sessions are now held at our purpose build Training Ground Near Newtown. The Barn is fully heated for the winter, and has air conditioning to keep the dogs cool on those hot summer days. Each individual workspace is created for both you and your dogs. We have small white screens in place to help dogs settle in the busy class environment and tea and coffee facilities available to keep their owners happy! We are situation on the left as you leave Newtown heading towards Aberhafesb. We have a new tarmac entrance, with dark brown railings. We also have a Puppy Plus banner on the internal gates. Our Training barn is the large Grey-Blue Barn on your left as you turn into the entrance - there are also signs on the side of the barn. 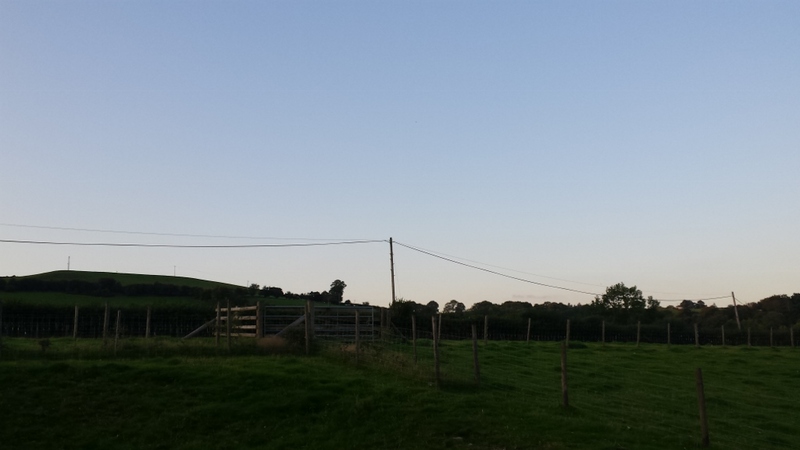 Drive through the gates and we have ample parking in front of the barn. Please note we are on the left - just before right turn that the satnav will take you to. 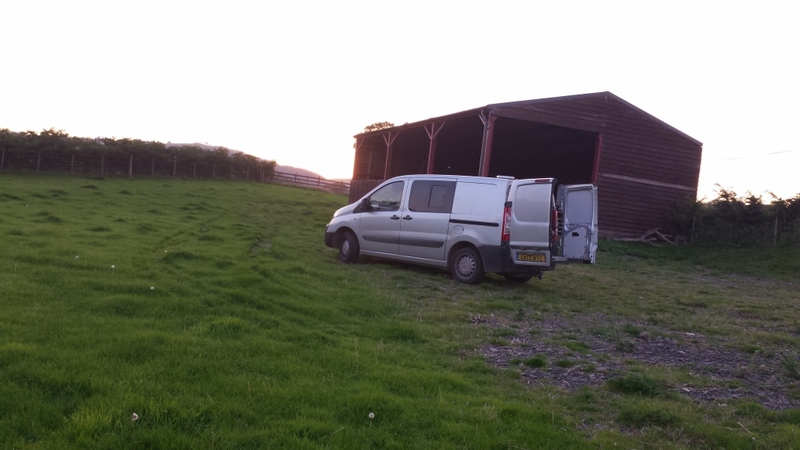 Using a satnav and the above postcode will not bring you directly to the barn. The Training Barn is now officially up and running! 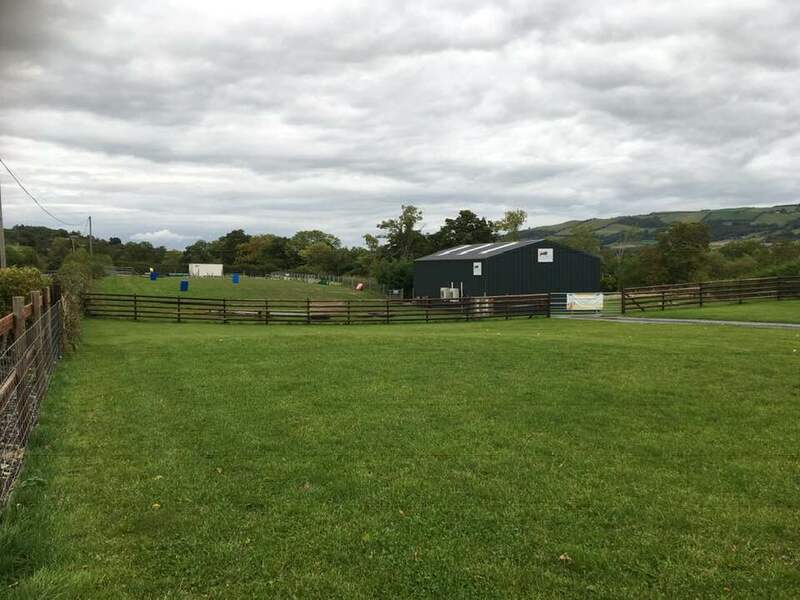 Our Puppy Classes are still currently run from Clatter Village Hall but all of our other classes, including Rally and Agility classes are now run from the Puppy Plus Training Barn, Newtown, SY16 3HQ. Our one to one sessions training sessions are also held at the centre with Behavioural Consultations either being held at the centre or at a client's home. 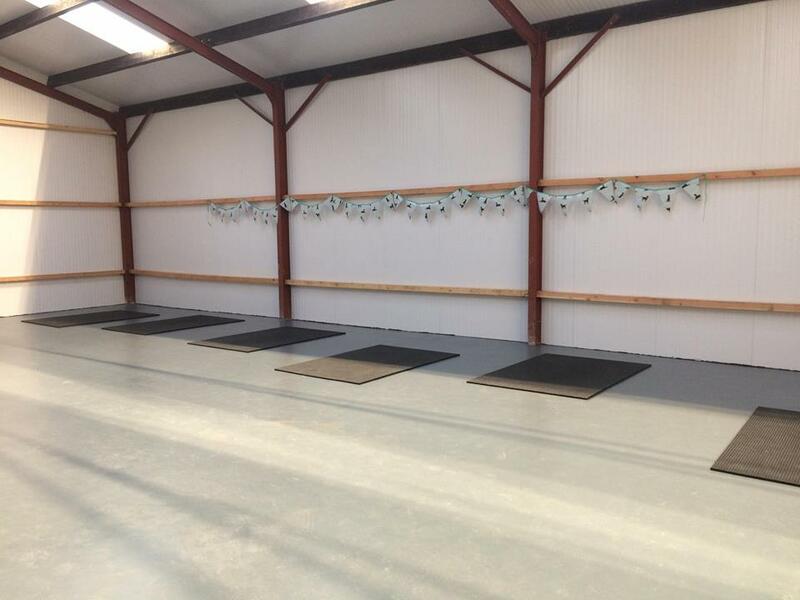 The Barn is purpose built and is a large and comfortable area to offer classes from. 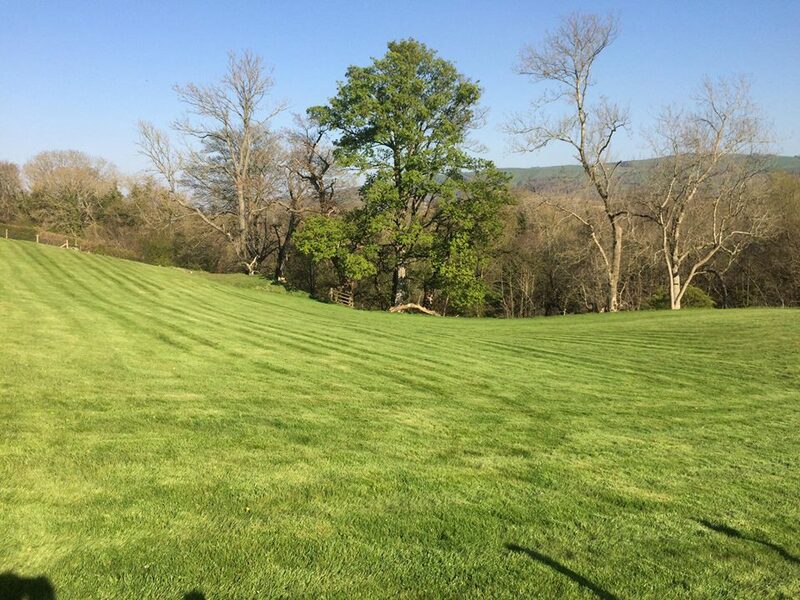 We also have two acres of fully fenced land. Here are a few recent pictures.... isn't it fabulous! 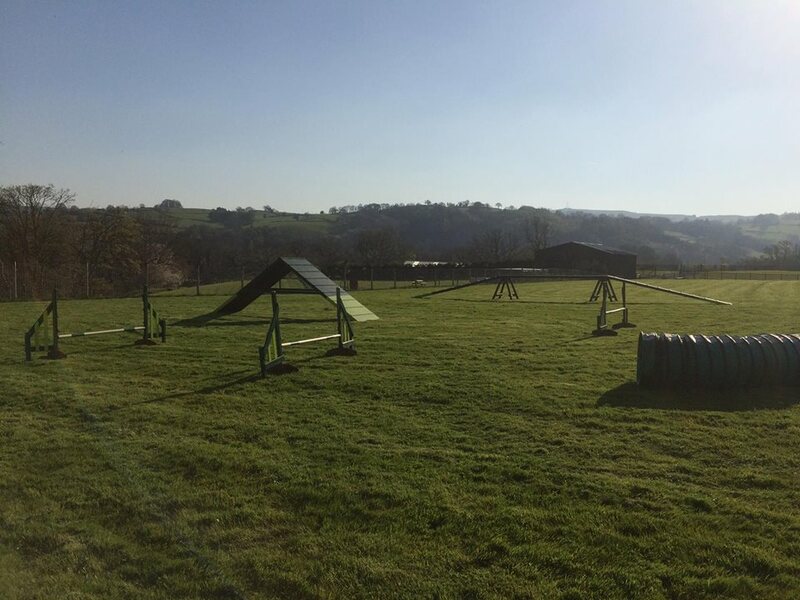 We have begun to offer one to one training sessions, agility sessions and flyball sessions from the land. We still have a lot of work to do on the training building but are planning to get this work underway in the autumn. I'll take lots of photos as the work progresses! It's October 2015 and the we have finally bought, and attained planning permission for a Dog Training Venue just out of Newtown on the Aberhafesp road. To say I am excited is an understatement! We have lots of work to do there including a new entrance to allow access for two vehicles at a time and new fencing to make the area secure. 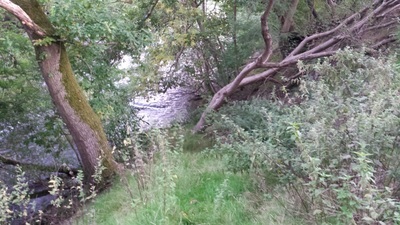 The ground has two acres of land, a lovely flat area for agility and a wooded area with a river at the bottom. After completing the entrance etc we plan to start working on the training building! It needs fully enclosing, heating and insulating so that we can train in the winter too. 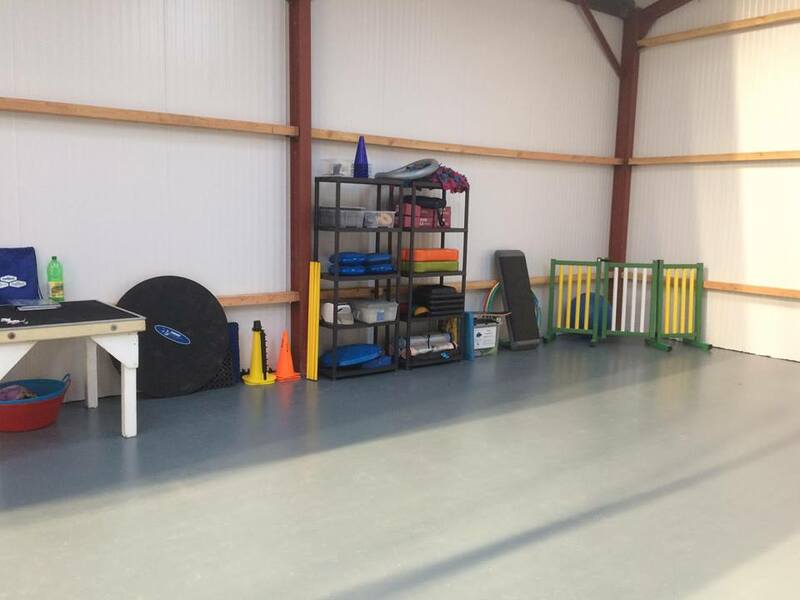 Our New Training Barn is now up and running. 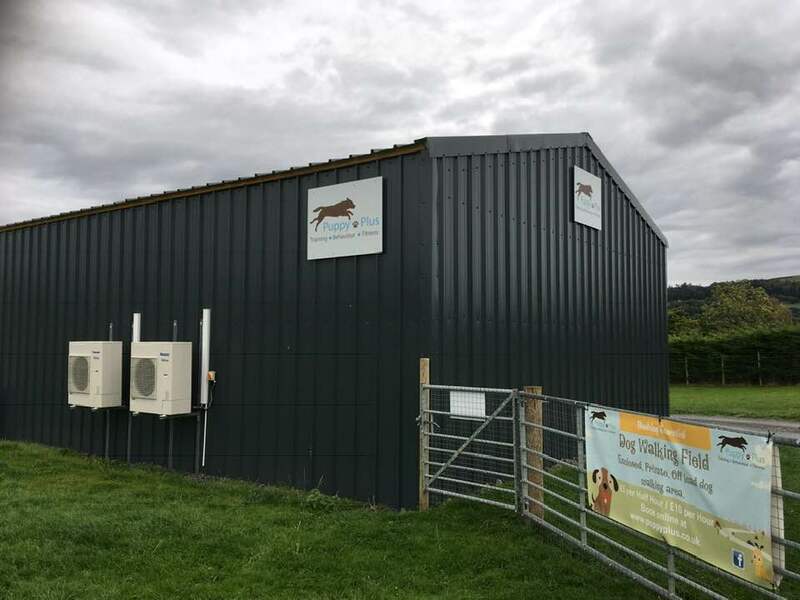 The newly fitting air conditioning system, cool in the summer and warm in the winter makes the barn the perfect environment for training dogs! Why not get in touch and try out our services for yourselves?